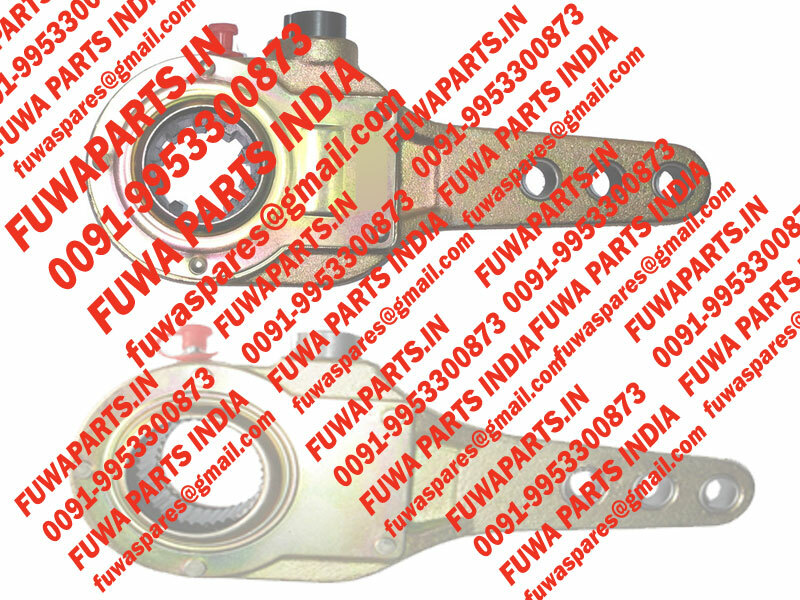 Fuwa Parts India is the chief after market supplier of slack adjusters. Our slack adjusters are very reliable and made in India. Slack adjusters are used for adjusting the wear on s-cam brakes on Fuwa trailers. You can also say that it is an adjusting device that is present on the backside of the brake drum which is used for adjusting the brakes. You can check your fuwa slack adjuster by parking on a ground level. Then turn off the parking brakes and pull hard on every single one that has been installed on your trailer. It should not move by more than 1″. If it does you are due for replacement. Call us and we will get you a new one. They are used on all irrespective of capacity of your trailer. In slack adjuster, a lever is present which connects the brake chamber push rod with brake cam shaft. Fuwa parts India is a branch of KDST that is the chief slack adjuster manufacture of Fuwa, KKTC, York and YTE trailers. KDST has also started making ratchets for Tata trucks including Tata 709, 1109, 1612, TC 2515 trucks. Fuwa Parts India Copyright © 2019.